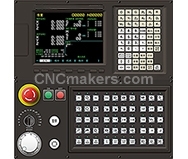 1000MII and 1000M4II from CNCmakers Limited, are superior CNC systems for milling machine and machine center,which adopt with high performance 32-bit microprocessor, new structure design and open PLC process. They are employed with 8.4 inch color LCD display. They can control 3/4 feeding axes, 3/4 simultaneously controlled axes. 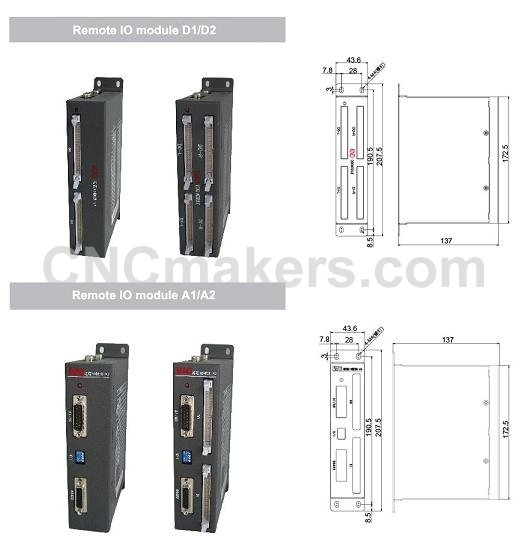 They can be matched with KND or YASKAWA Digital AC servo driver. 1000MII and 1000M4II are suitable for CNC Milling Machine and Machine Center. 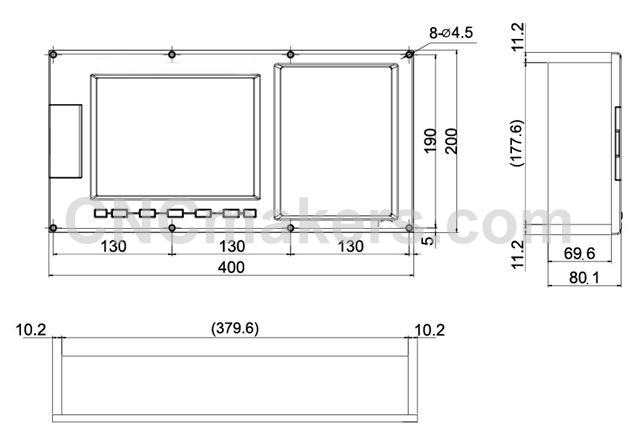 l 7.5/8.4 inch TFT LCD with the resolution of 640×480. high reliability and high anti-interface capability. l Support the open-style PLC function to meet the secondary development of the machine tool builder. l Two types of machine control panels including the standard panel with film-buttons and one with pushed buttons are available. On the later one the functions of the 50 pushed buttons and 50 lamps are able to defined by customs. l Remote I/O modules based on CAN bus can be use to extend the number of I/O points up to 512/512. l English operation interface and full help information make the operation more conveniently. l Perfect self-diagnosis function. Display the internal and external states in real time and alarms will be issued timely when some abnormity happen. l High-speed DNC machining are available based on the transmit rate reaches up to 115200 bps and large program buffer space. l 640 kB internal program memory space. U-disk port can be use to extend the space of program and to perform DNC machining. l Rich NC functions: macro program B, rigid tapping, local coordinate system, coordinate system rotation, coordinate scaling, polar coordinate system, etc. Transmitting PLC program, machining program, parameters, etc. Standard PLC program supports three emergency stop signals. Both stored stroke limit and hardware stroke limit are available. Coordinate value, machining time, workpiece count, date, feed rate, etc.